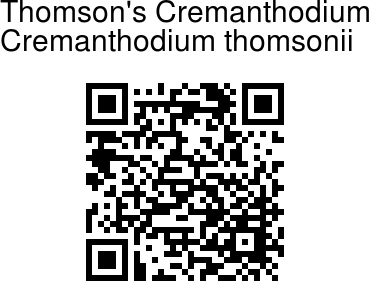 Thomson's Cremanthodium is a plant found in the Himalayas, at 3500-4600 meters altitude, in forests, alpine grasslands, and near alpine streams. It is a perennial herb with succulent root. Stem straight, unbranched, 25-50 cm high, the upper section was a soft brown hair, the bottom smooth, about 3 mm in diameter at the base. Lower leaves have stalks 10-15 cm long. Leaves are round or kidney-shaped, 2-4 cm long, 3-5.5 cm wide. Leaf margins have large circular teeth. Leaves are smooth above. 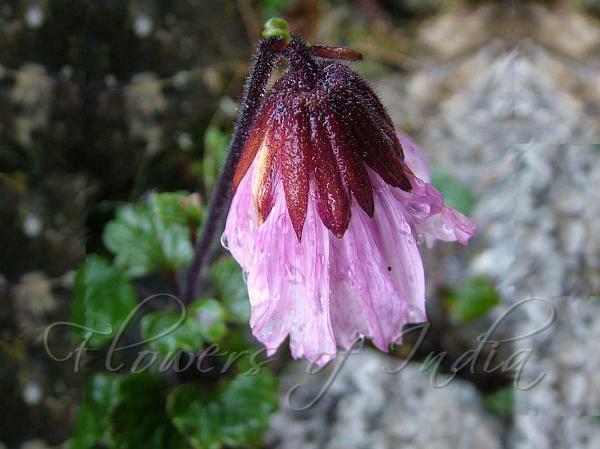 Flowers are like pink bells hanging looking down. Sepals are lancelike, pointed, reddish brown and hairy. Flower is pink in color. Identification credit: Amit Kotia Photographed in Arunachal Pradesh.